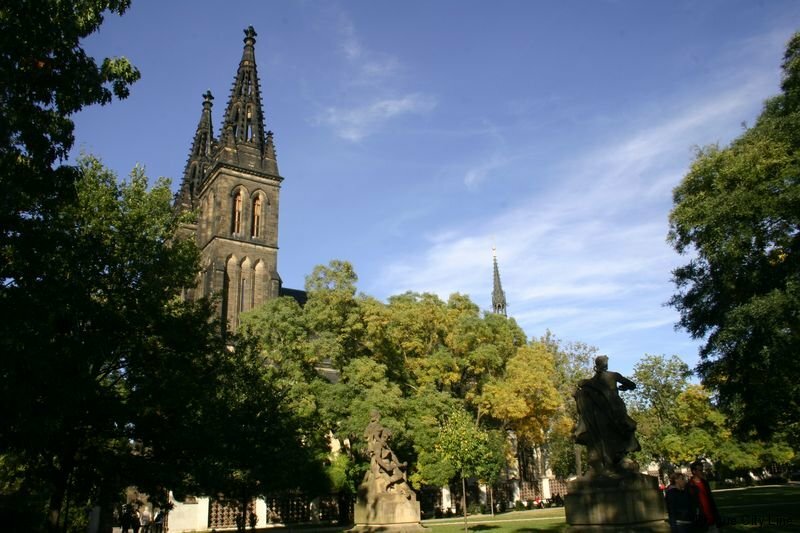 Vysehrad is a place full of secrets. Still, it raises many questions for us. Be informed, when in fact the castle was built. Its past, shrouded by veils of mystery, offers writers and ordinary people several important myths and legends. 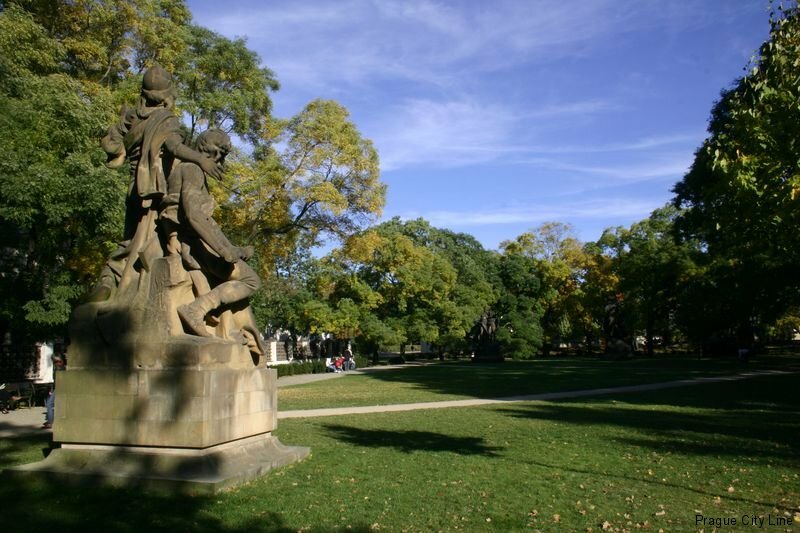 From Jirasek’s work are known the legends about Princess Libuse, who ruled the Czech lands from Vysehrad, and later married Přemysl the Ploughman, the father all the Premysl family. Another story, which highlights the power of the Czechs, tells of the brave Bivoj, who overcame a horrible boar terrorizing the neighborhood with his bare hands. But when the site was first inhabited by the royal family, we do not know yet. 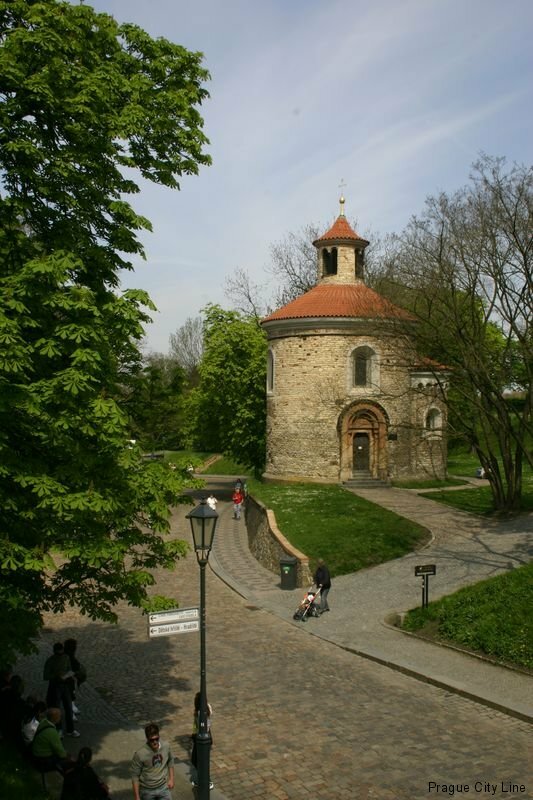 There are some legends that already by the second half of the 10th century the king Boleslav II lived there. Coins discovered during his reing are the first to bare the inscription of the castle Wisegradus. 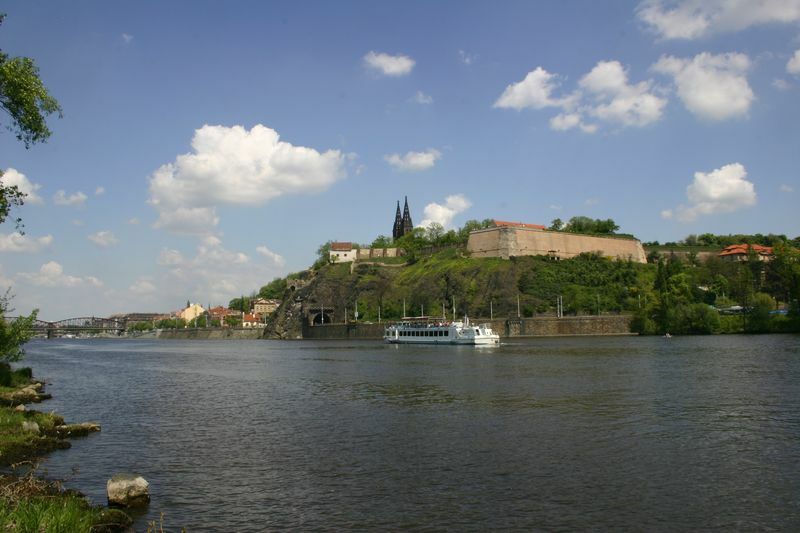 One thing is for sure: Vyšehrad acquired considerable fame under Vratislav II. 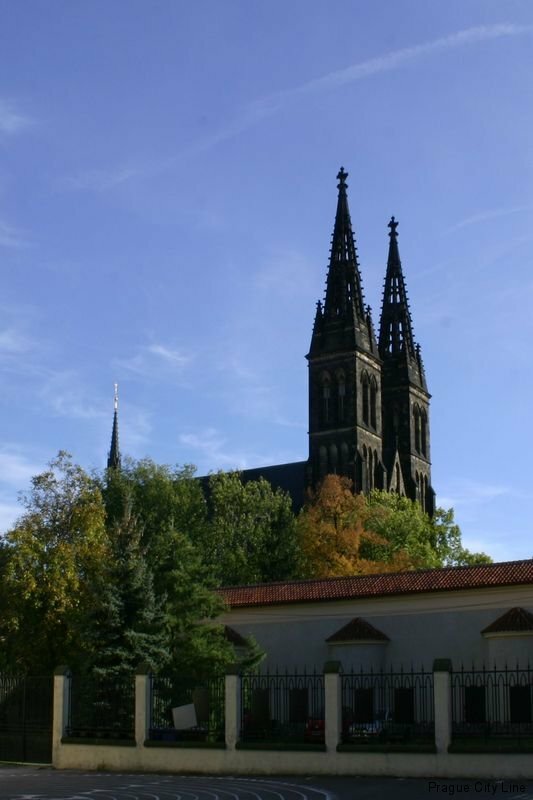 If someone was going from the south towards Prague, they would have to ride around Vyšehrad. 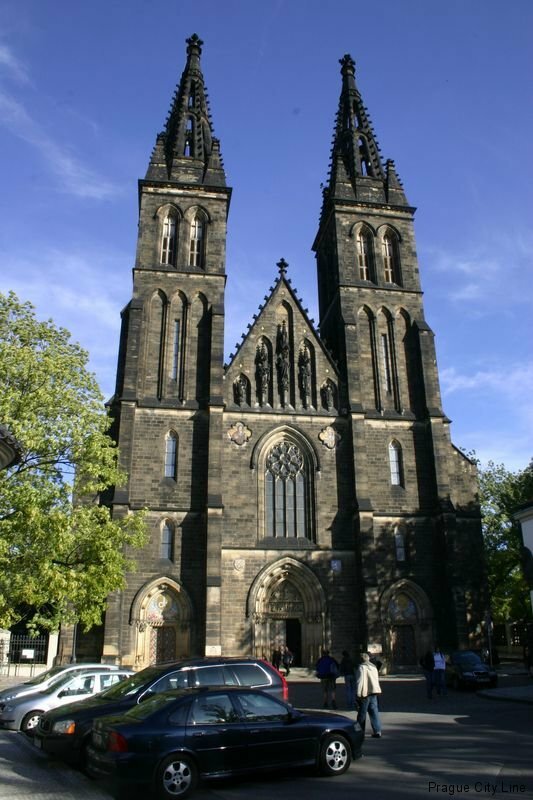 They would be greeted from afar by the two tall black towers of Peter and Paul, St. Steven’s Basilica, and the heavy set walls. 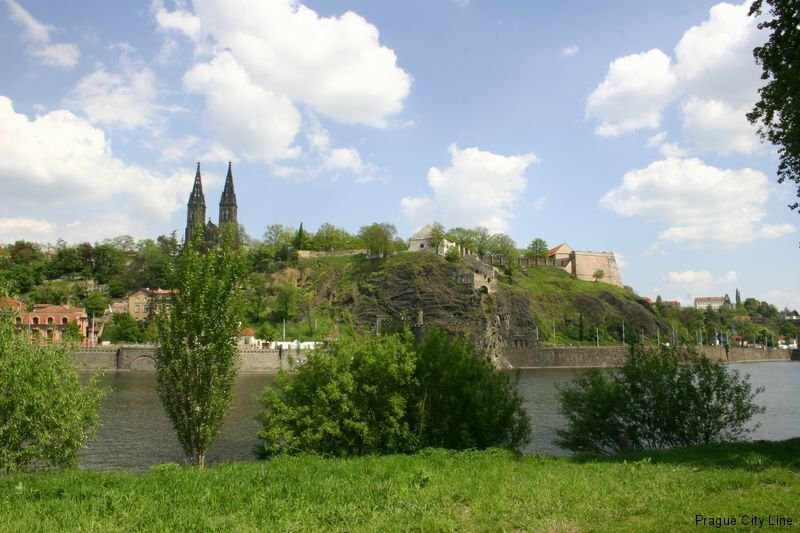 Vyšehrad really had a very good strategic position, because it is effectively protected from conquerors. 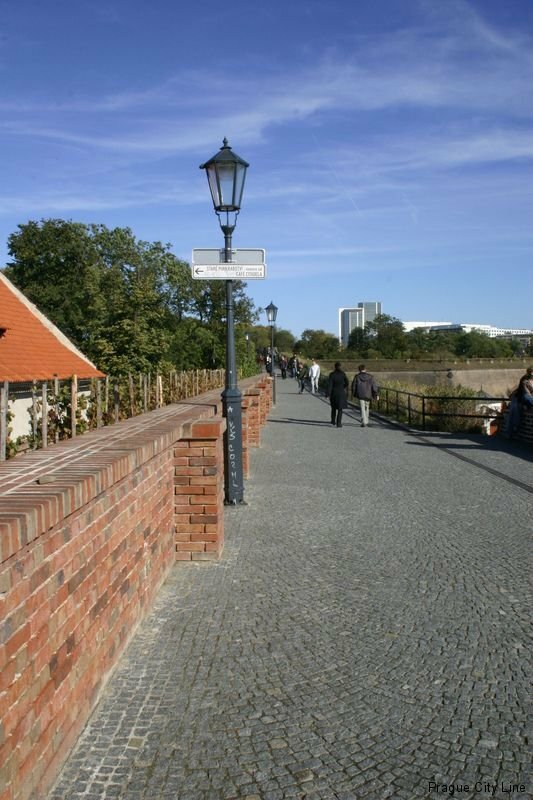 Leading to the castle are only two access roads through gates over a ditch. 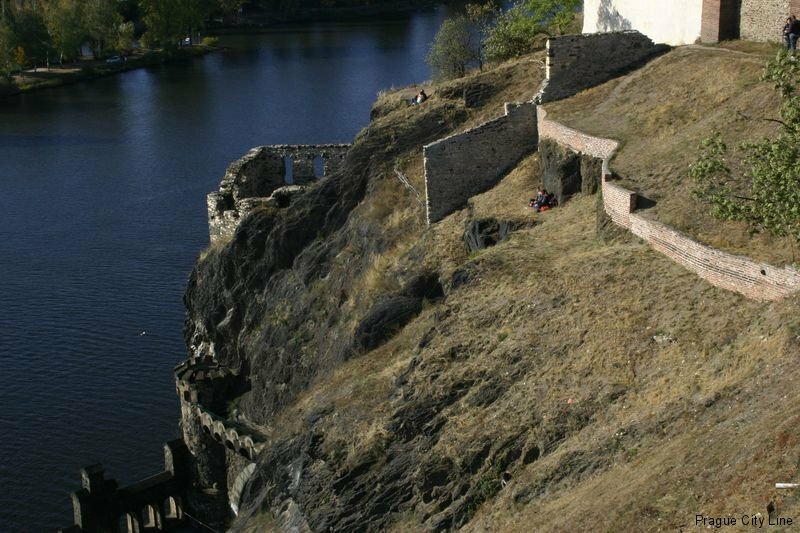 The other parts of the castle are protected by a huge cliff and the river Vltava. At the other end of the castle, away from the gate and over the cliff sloping towards the river, long ago there once was a royal palace. Today, we find there the so-called armory. Its builders, however, spared no material at all and by all accounts it was a huge palace. So we conclude with a report from the council that took place in 1130 that there was a 3000 person meeting. 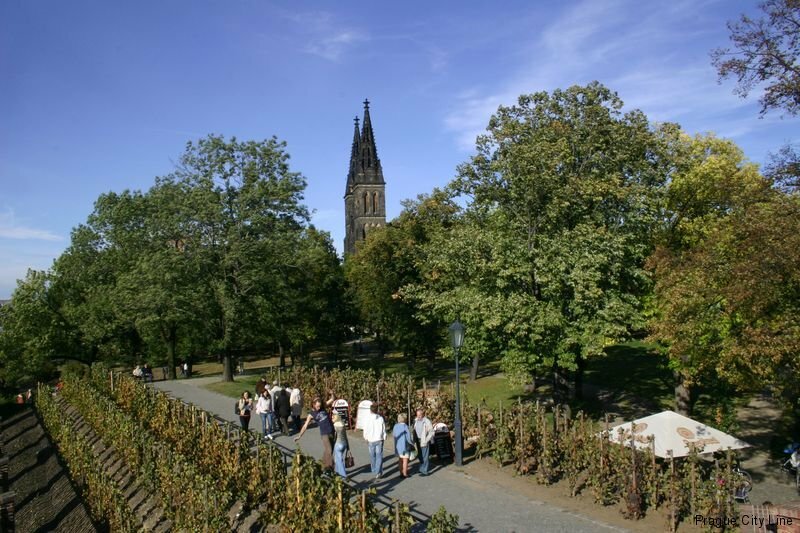 However, at the end of the 12th century, the building suffered greatly from a huge storm. 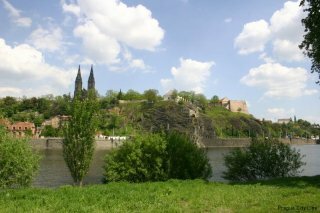 But we return to the previously mentioned Vratislav II, who is credited with the fact that we now know what Vyšehrad as it is. His legacy is the building of the Rotunda of St. Martin, the Basilica of St. Lawrence and certainly the greatest landmark – Saints Peter and Paul. 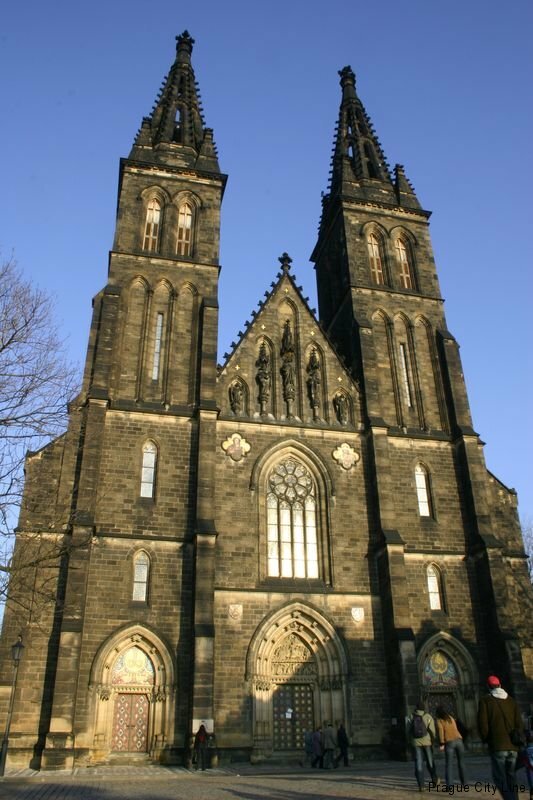 He made Vyšehrad a founding Church chapter directly subordinate to the Pope because he was in dispute with the bishop of Prague – his brother. 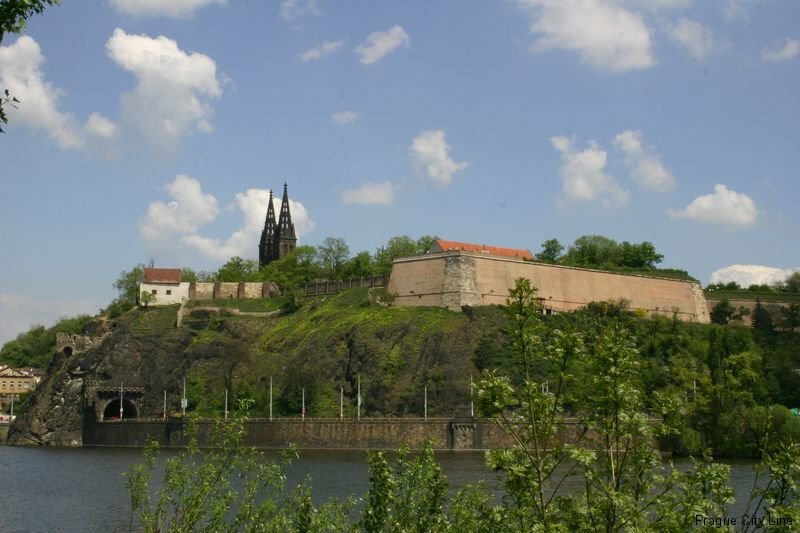 These disputes resulted in the fact that at Vyšehrad, Vratislav built a palace which, for his own personal safety, moved here from Prague Castle. 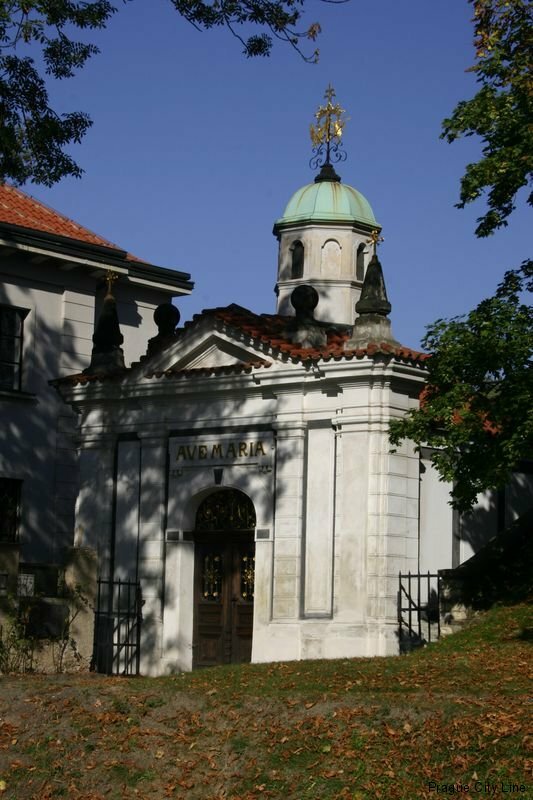 His successors later returned to Prague Castle. 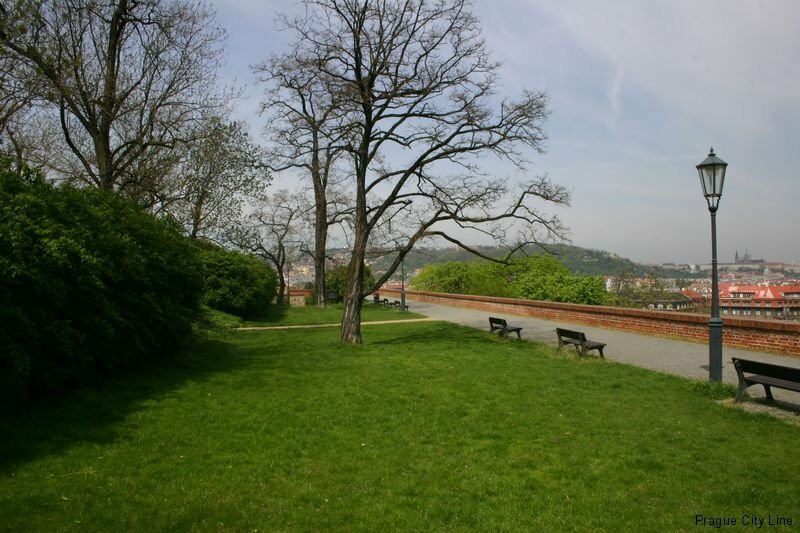 In Vyšehrad, however, they were still connected and here was the location of the coronation ceremony. 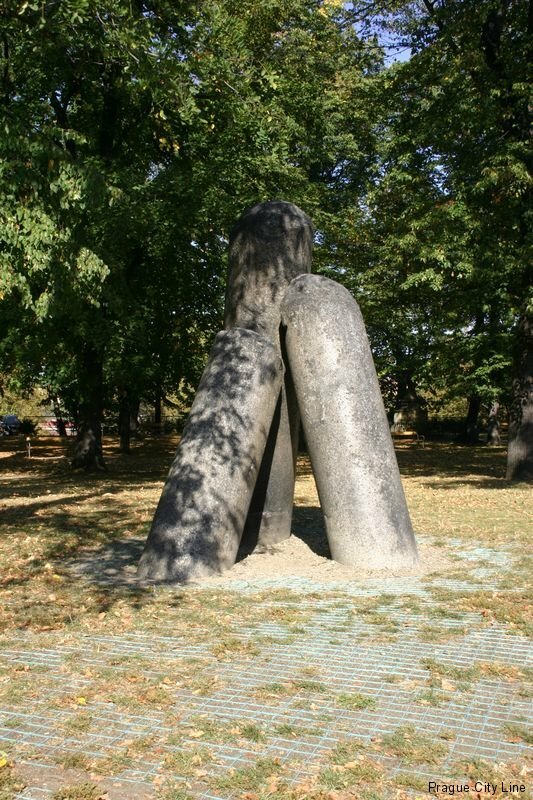 On the eve of the celebration the future Emperor worshipped at the estate Přemyslides with lichen shoes and a bag to resemble Přemysl the Ploughman. 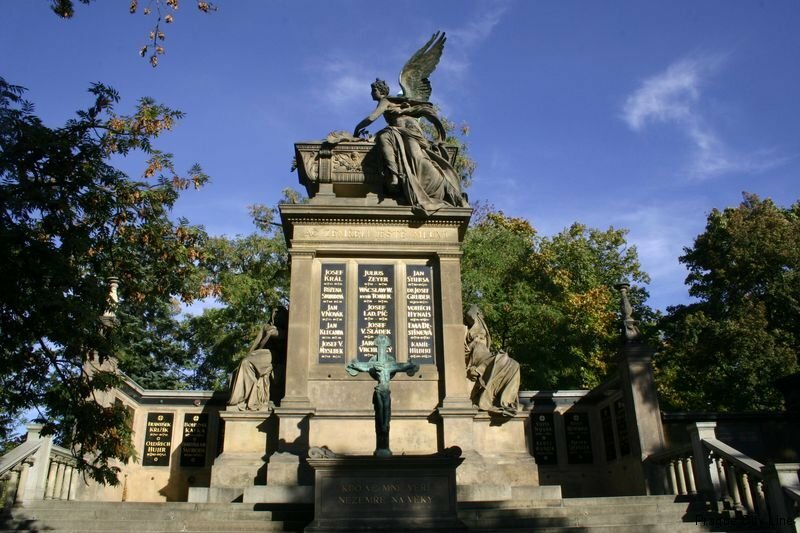 It was done in order to symbolize the common roots of the ruler. 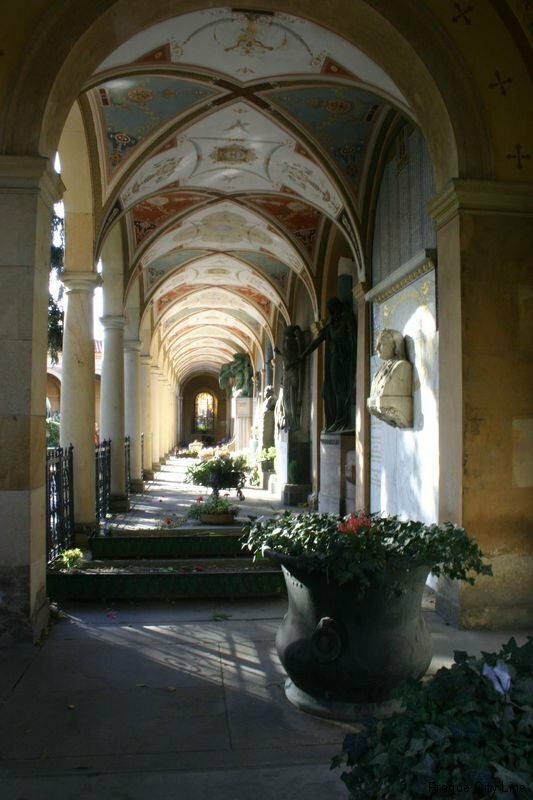 Vyšehrad is truly a place rich in legend so here is one of them. 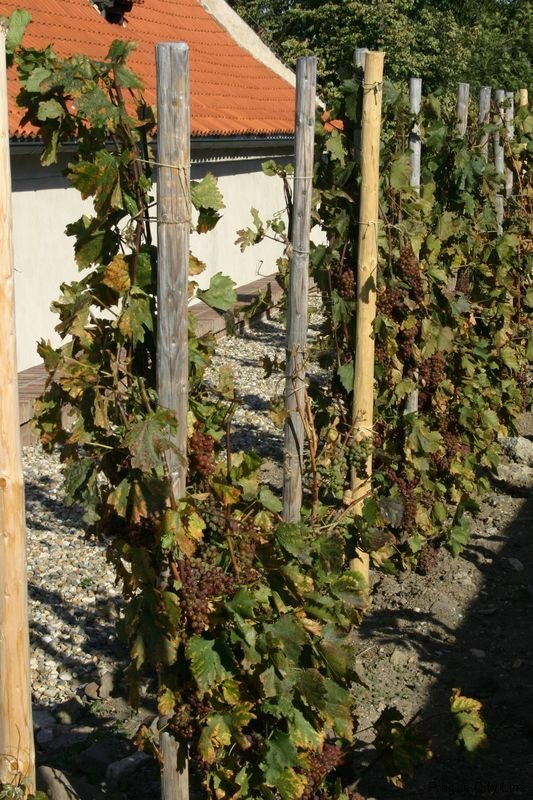 At a time when the Prince Křesomysl ruled, the farm fields were barren. 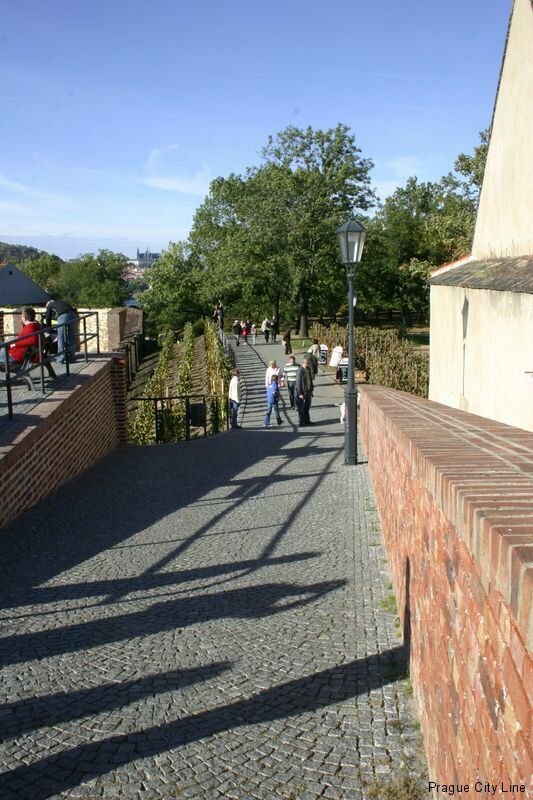 Křesomysl wanted peopled to work in the mines for precious materials in the vicinity of Vyšehrad. Nobody cared about the fields and they were abandoned. But Lord Horymir and his retinue did not like this at all. 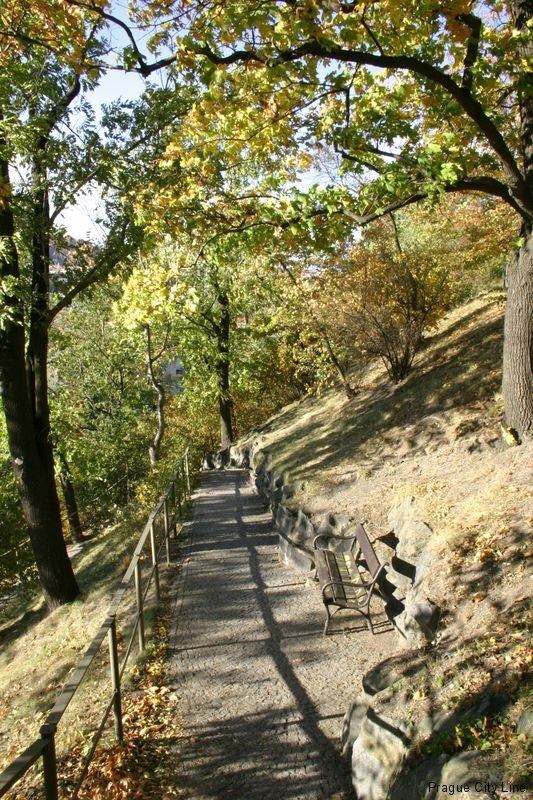 Horymir went to Vyšehrad, but the king did not worry about Horymir’s problems. What followed then is difficult to understand. When the miners heard of Horymir’s complaints, they seized by rage and at night they burned down Horymir’s entire village which was outside of the castle. Horymir managed to escape but he vowed to take revenge. Horymir’s men rallied and attacked the Birch mines, where the attackers were from. They killed all the miners and the pit ceased to operate. This of course infuriated Křesomysl. Horymir was trapped and condemned to death by hanging. Horymir however had a plan. His last wish before he died was to ride his horse Semika. 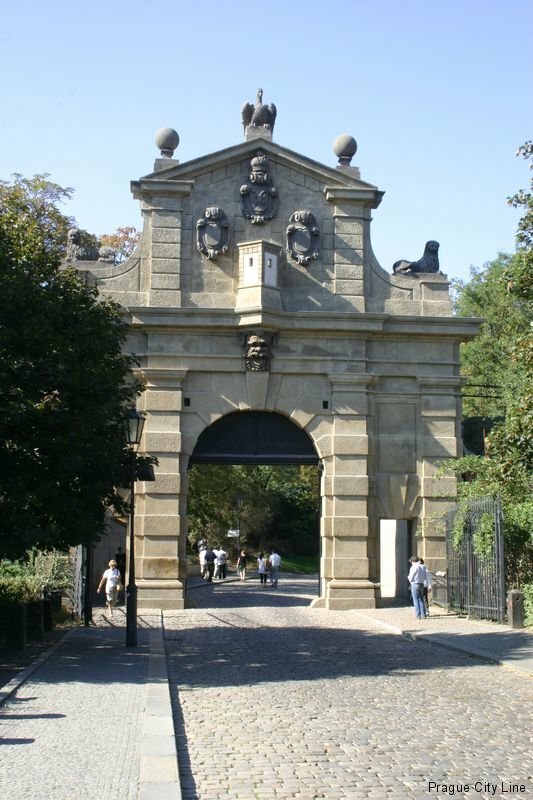 Křesomysl agreed to his request, brought the Semika and closed the gates. 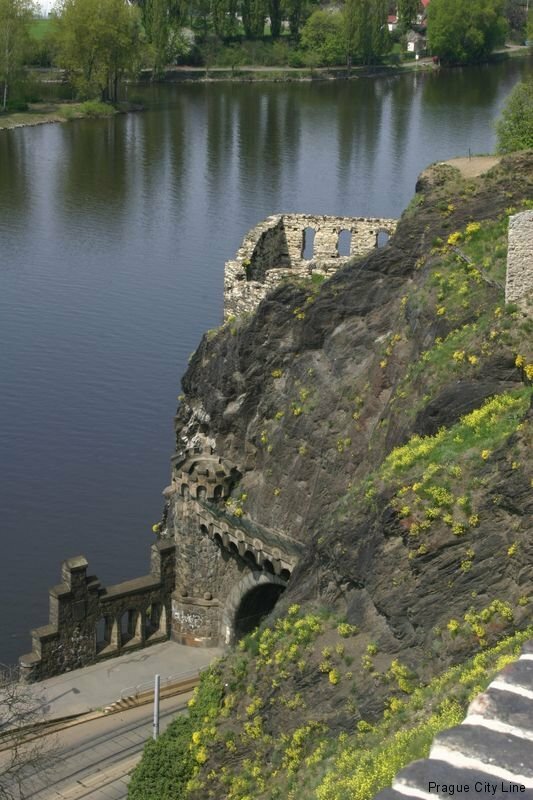 When Horymir rode through Vyserhrad, an incredible thing happened. He whispered something into Semika’s ear and suddenly the horse reared up, made a huge leap over the wall, and finally swam the river, letting Horymir escape his captors. 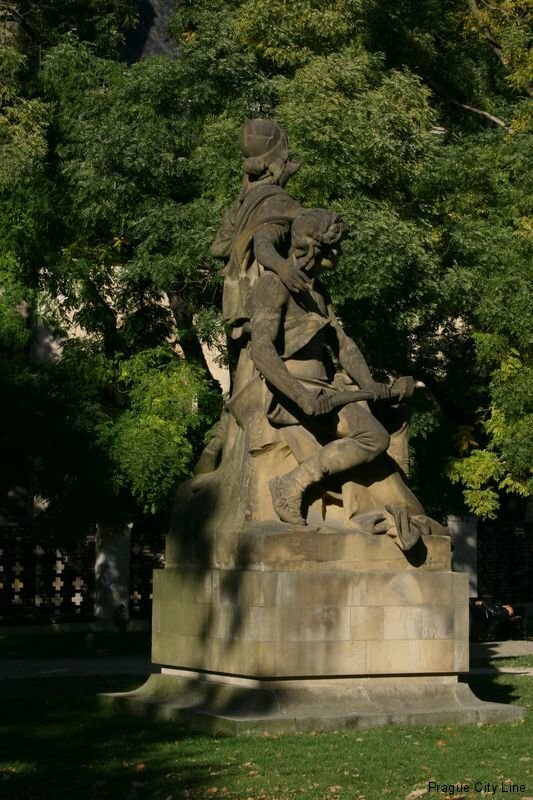 Křesomysl was so surprised that he decided to forgive Horymir and reconcile with him. Unfortunately Semika suffered serious injuries and died. 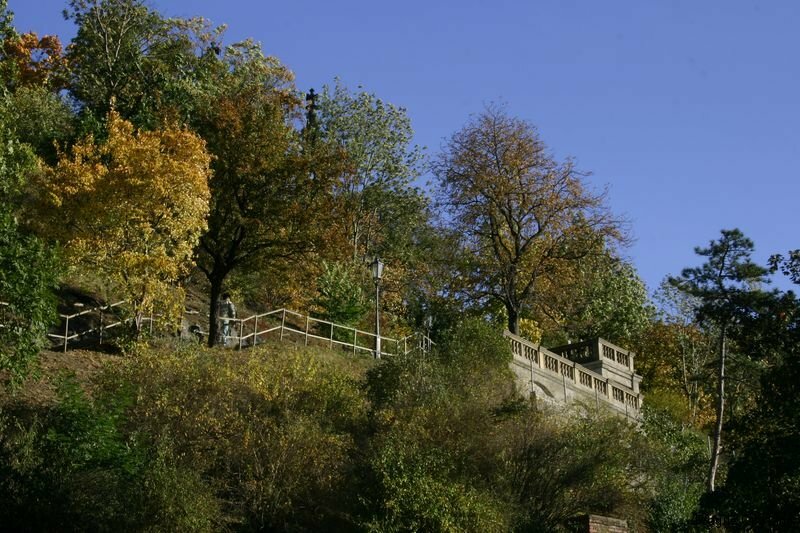 Feel free to visit Vyšehrad, from which you can admire Prague nicely from above. And remember, when you look at that height, Semika must have been a brave horse to conquer it! Tramvaj číslo 3,7,17,16 – stanice Výtoň.